Shaved Vocal Cords Due to Breathing Difficulty? We can help. Vocal cord problems like shaved vocal cords is a result of a known medical practice that is implemented when a baby is born with a breathing difficulty. A surgical procedure called a “tracheotomy” is performed on the front side of the neck to open a direct airway through an incision in the trachea. In most cases, a tube is installed and later removed at around 5 years of age or a little older. If the child still has a problem breathing, doctors will advise a further approach by shaving the vocal chords to open up the airway for better breathing. Due to this shaving procedure, the voice becomes very high, very deeply placed in the back of the throat and quite raspy. As they grow up, the person’s enunciation and pronunciation usually are very poor and they could hardly be understood, causing problems when communicating with others. 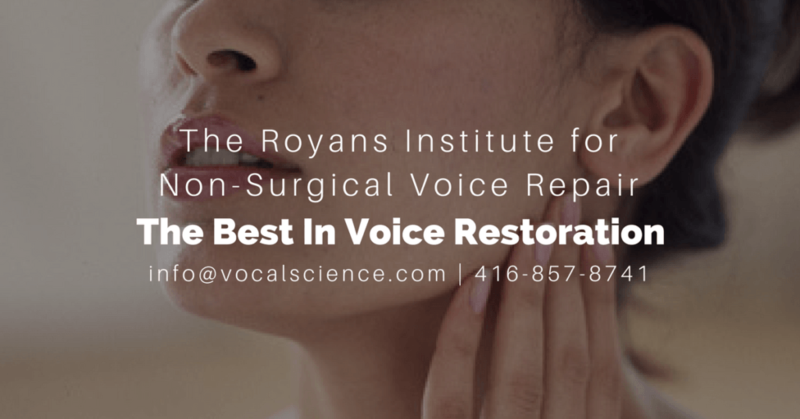 Via the Vocal Science method, we will bring the voice up to the surface, employing the facial muscles for the resonation and pronunciation of the sound. We then make them work in full conjunction and coordination with the abdominal muscles for extra support of the sound. As a result, the voice acquires more body (strong and equal bass, mid & high tones) and no longer sounds excessively high and squeaky. And since the voice is lifted sufficiently away from the vocal box, the vocal cords will no longer have excessive mucous buildup; therefore allowing the voice to become much cleaner and clearer. However, to assure that the above process goes smoothly, we also supplement our mechanical instruction (specialized speech exercises) with natural herbs and homeopathic remedies. Consequently, though this method of treatment, the person becomes more confident and is assured that he or she will be understood by the people they are communicating with. Through our practice, we have found that people often receive promotions at work and even become motivational speakers. For more information about other common and uncommon throat, voice & vocal problems and how we can treat them, head on over to our services section. If you are suffering from the voice/vocal disorder above and are looking for a fast and efficient way of rectifying it, Contact Us.